Inglis had studied for a degree in mathematics at King's in 1894, but took a fourth year in engineering under Ewing’s tutelage. After a spell away from the university, he re-entered academic life to become the first Fellow in Mechanical Sciences at Kings. His specialisation was in mechanical vibration, and he worked as an assistant demonstrator under Ewing. 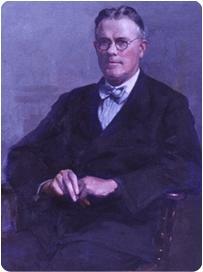 Recognised as an outstanding teacher by Bertram Hopkinson, who was then Head of Department, he carried the largest teaching load, covering the subjects : statics, dynamics, theory of structures, materials and drawing, balancing engines, girder design and re-inforced concrete. "His personality was such that he not only taught the subject most delightfully but inspired the members of the audience with respect and affection."